If Panasonic wants a new catchphrase for its new Lumix GH5S, let me offer the following: 'Come for the video, stay for the stills'. Let's call a spade a spade: the GH5S is primarily a video camera. But it also happens to be a very good stills photography camera, too. I've had it for around a month. I've been lucky to have had the high-end 12-60mm Panasonic-Leica f2.8 lens (€999) with the body, a cracker of a piece of glass that enhances any Panasonic body. But I've also used it with a number of other Panasonic lenses, ranging from a fairly inexpensive 100-300mm zoom (which cost me around €300) to the top-end Nocticron 42.5mm (which, as an 85mm equivalent lens, beats most others systems, including Fuji's much-vaunted 56mm). In that time, I've found it to be truly exceptional at video capture and really very good as a still camera (although if stills is solely your thing, you can get as good or better for less money). The biggest surprise is low-light performance. Conventional wisdom dictates that larger sensors are needed for really good dynamic range and low-light performance. 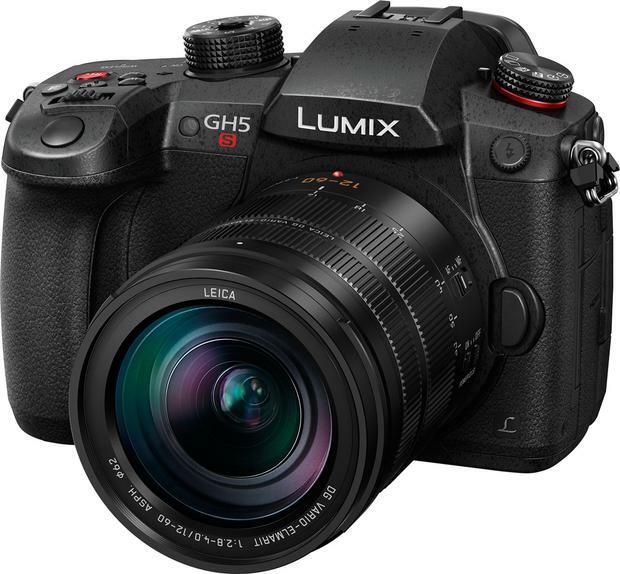 While the physics tend to favour this bias, Panasonic has supercharged its technology to get some pretty astonishing low-light performance out of the GH5S (as well as its specialist stills camera, the €1,700 Lumix G9). That is a very, very strong calling card, augmented by its excellent image stabilisation technology (which also helps in low light). In terms of general physical design, the GH5S is as close to perfect as I've come across in a dual-purpose camera. It is exactly the right shape for a steady hand when shooting, with a comfortable grip on the right hand side. While feeling substantial, it never feels like a large clunky monster, as some high-end DSLRs can come across as to anyone with hands smaller than Paul O'Connell. The placement and design of the buttons and dials is also at the top-end of cameras out there - it takes about 30 seconds to get used to the two wheel functions on the top and upper right hand side of the body. Its predecessors, the GH4 and GH5, rose to become the preferred B-cam (and sometimes A-cam) of professional videographers and film-makers over the last three years. In a few weeks of using it, it's hard to see anything but a firmer grip by the GH5S on that status. Probably the main advance on last year's GH5 (which is still on sale and has been reduced to €1,800, which puts it light years ahead of anything else under €2,000 for video) is the extra performance in low light. I found the results to be fairly spectacular. In low-lit rooms or dim, artificially-lit streets, video footage was still absolutely clear and usable. Still photos weren't far behind, with clear, relatively detailed shots as ISOs of 6400 and even up to 12,800. If you'll indulge a bit of technical analysis, this is fairly incredible given the relatively small size of the sensor. The GH5s has a sensor that's less than half the size of, say, a Canon 5D Mark 4 or a Sony A7r3 (which both cost around €1,000 more). In layman's terms, a bigger sensor usually means better performance in low light. But Panasonic has injected new technology that mitigates the smaller size of the sensor and it really shows. In fact, it substantially pares away at the advantage of having a bigger sensor in the first place (although this still exists for things such as creating blurred backgrounds). But it's a lot closer than any other Micro Four Thirds camera on the market and is now better than any of Fuji's highly-rated 'X' cameras for low-light performance, despite Fuji models having bigger APS-C sensors. The upshot of all of this is that the GH5s is now a substantially more appealing all-round camera than the GH5 or GH4 were. Does that mean the GH5S is now a better option than, say, Fuji's XT2, Canon's 6Dii or Sony's A7iii for the photographer who still primarily wants it for still photos? No: it is still mainly a camera for those who want to shoot video as much (or more) as they shoot stills. If you're predominantly a stills photo shooter like me, the GH5S will give you some excellent results, especially paired with one of the higher-end Leica lenses. But almost half of the GH5S's steep price is due specifically to its video prowess (including the tariff slapped on cameras that can record past 30 minutes). This is probably a better option for a typical amateur photographer who only occasionally dabbles in video.